Located between Corvallis and Eugene, and only 90 minutes south of Portland. Our vineyards thrive in the peaceful heart of the Willamette Valley. Click HERE for a list of the wineries and hours. Escape to Overleaf Lodge & Spa, one of the Pacific Northwest’s premier spa vacation destinations. Unwind in our cozy ocean suites and discover the galleries, shops and restaurants in town. 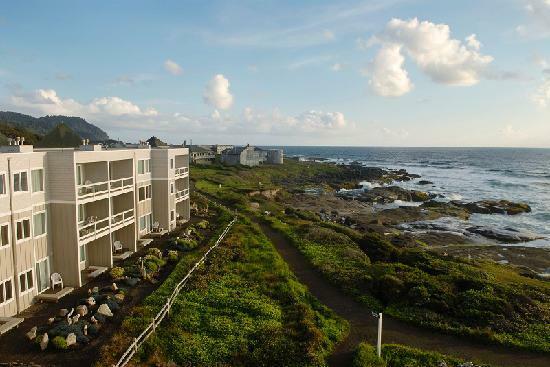 Explore miles of tide pools, hikes, sandy beaches and natural wonders just outside our door. Our wines are available for purchase here! For "Three Days In Yachats" ideas, click HERE. Each year, thousands of visitors flock to Ferguson Road in Junction City to view mile after mile of golden daffodils and enjoy a day of family fun at the Junction City Daffodil Festival! Drive-thru for world renowned cinnamon rolls, wagon rides, raffles, food, quilt shows, live music, vendor village, antique cars and so many beautiful daffodils. Diamond Woods Golf Course is a 7,000+ yard championship golf course. Opened in 1997 and designed by Greg Doyle, the course offers a unique, and exciting layout that offers a challening golf experience to golfers of all levels..
​Diamond Woods is an enchanting and memorable experience that makes you want to return for more! 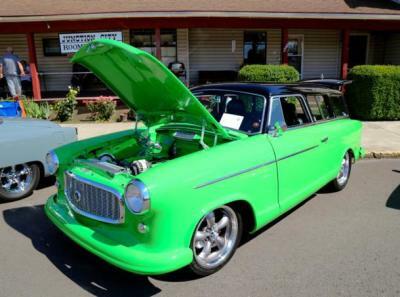 Take a step back in time as hot rods and classic cars take over Junction City. The classic Show and Shine presents hundreds of cars, featuring an array of makes, models and sizes. After exploring these amazing autos, enjoy one of the best cruises in the state. There will be raffles, food booths, a car puzzle game, face painting and more. Show 'n shine begins at 8 a.m. and cruise begins at 6 p.m. All are welcome and encouraged to attend this family friendly event! Click Here for More Adventures!